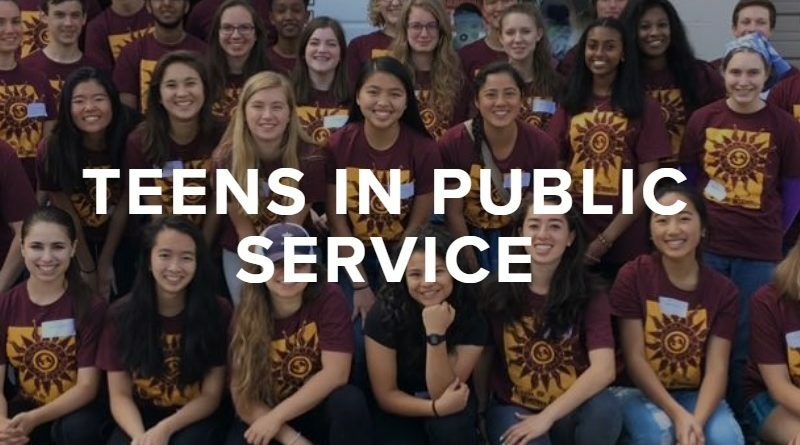 Teens in Public Service is now accepting applications from students ages 15-19 to apply to serve as paid summer interns in their 2019 TIPS Summer Internship Program. TIPS Interns work with a selection of nonprofit organizations in a variety of roles to support their community-based and develop public service leadership skills. Each applicant must submit an application and two letters of recommendation. You may fill out and submit your application in one of two ways to become a 2019 TIPS intern: through the online application or by mailing in a PDF application. Instructions for both methods are included in the links, below. All applications are due by Monday, Feb. 25, 2019.